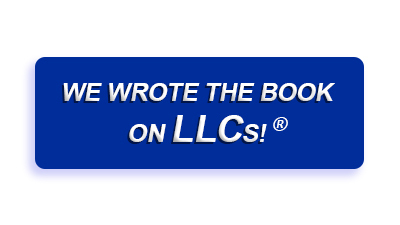 With MyLLC.com, it's easy to incorporate or form a Limited-Liability Company (LLC) in any state! We’ll beat any competitor's price! *In addition to state filing fees, when applicable. Call, email or chat with our team if you find a better price! My experience with them was EXCELLENT!! I had an agent that was second to none! She was so helpful that I did not realize they were closed on Saturday and she had given me her personal cell number and I CALLED HER!! She answered all of my questions and concerns without hesitation! I had another company trying to get me to buy other products that I didn’t really need and she was able to explain in detail what they were talking about and also the pros and cons of this particular organizations ideas, all while being off the clock and picking up her kids from school!! Now that folks is CUSTOMER SERVICE at its finest!! Christina is not only a knowledgeable professional, but a caring, thoughtful, and compassionate individual. As a newcomer to this process, Christina held my hand every step of the way, answering each and every one of my email questions. I am very pleased with MyLLC and feel confident going forward that all of my necessary paperwork has been processed efficiently, effectively, and quickly! Thank you for your excellent service. The quality of service was excellent. Jennifer is amazing. She has always answered my questions and addressed my concerns. I can't thank you enough for walking me through the process and straightening out our corporate issues and confusion regarding the two corporate entities... Please give yourself a promotion and hefty raise! I have only wonderful feelings about my experience with MyLLC.com. They guided me step by step making me feel totally comfortable. I have already referred my friends as well. Now I'm on my way to developing my non profit animal rescue and make a difference in this world. Thank you!!! They were very instrumental in helping me to set up my LLC. They guided me all the way and also helped me get my tax ID number. Everytime I called them they were there for me and I have no complaints at all. I feel confident in renewing my contract to keep them as my agent. I have owned my company as a sole proprietor for 25 plus years, and have made many mistakes that could have resulted in a loss of my business, home and other valuable assets. Fortunately they didn’t. Since developing my LLC I am now relieved of these very important concerns. MyLLC.com was a pleasure to do business with. The exceptional staff has an amazing work ethic and helped in answering all my questions. They have terrific customer service and always got back to me immediately. I wouldn't use another company than MyLLC.com. They had a fantastic wealth of knowledge that greatly helped me in my entrepreneurial venture. Thanks again. You guys have been great to work with. I would highly recommend you to others! I hope I can run my business as good as you guys do. I've been putting this off for weeks now and should have just contacted you right off the bat. Thanks again for making this process so easy and for answering all my questions! Christina does an awesome job. She is always very responsive and super helpful. Everything in our world needs to be done yesterday, and Christina goes above and beyond to get things done for us. Thank you Christina for all you do. We so appreciate you! Our company has used MyLLC numerous times and for various different states to form items needed for those particular states, and MyLLC made those transactions simple and easy to complete. Which type of entity is best for my company? 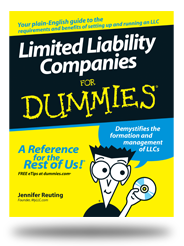 Which State Should I Form My LLC or Corporation In? 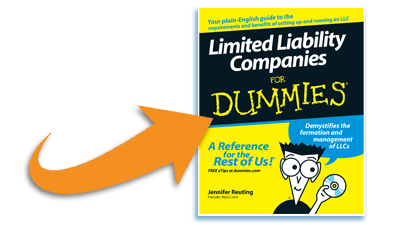 What are the differences between business entity types? Do I need an Employer Tax Identification Number?